Alicia Keys ditched her "makeup free" campaign for the cover of Allure Magazine. 9. 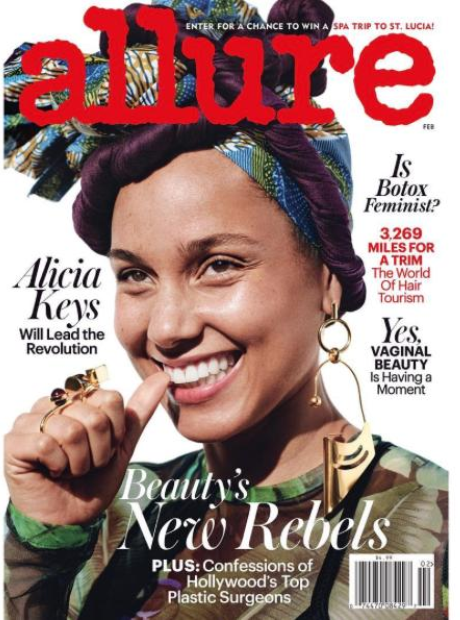 Alicia Keys ditched her "makeup free" campaign for the cover of Allure Magazine.